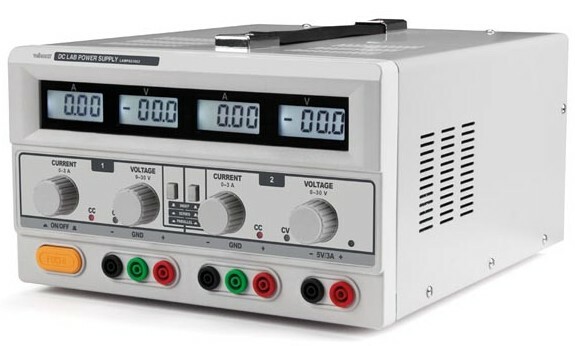 Velleman LABPS23023 is a triple output regulated bench power supply with variable voltage and current limiting facilities, with coarse and fine adjustment. This power supply also has a fixed 5V 3A output. The output setting can be coupled (master/slave), Series & Parallel switch-able, Short circuit and “Foldback” overload protection, Metal case with on/off switch.